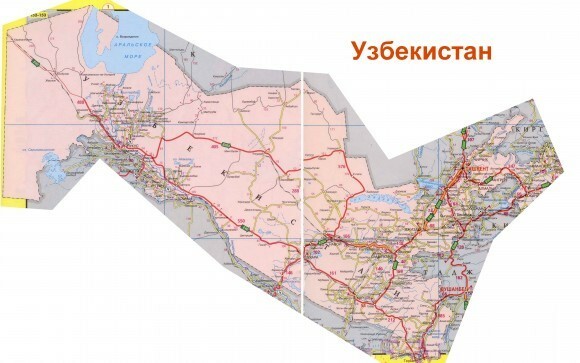 The State Committee of the Republic of Uzbekistan for Roads was established in order to further improve the road management system. control over the observance of urban planning norms and rules, state quality standards during conduction of construction and repair activities on roads, as well as improvement of activities of laboratory quality control services. The purpose of the ongoing institutional and legal reforms in recent years in the sphere of road transport is to improve the activity of road transport based on fair competition over the right of providing transport services, attracting carriers with different ownership forms to this sector. As a result, the non-state sector occupies a leading position in road transport. Almost 90 percent of cargo transportation and 100 percent of passenger transportation is carried out by road transport enterprises of non-state ownership. According to the received data, in 2016 all the country’s automobile transport carried 1 billion 473 million tons of cargo and 7 billion 795 million passengers, and this figure in percentage terms for this period of 2015 amounts to 105.3 and 103.8%. Cargo turnover amounted to 35 billion 945 million km/ton (in relation to this period in 2015 amounts to 106.0%), passenger turnover amounted to 99 billion 306 million passengers/km. (in relation to this period in 2015 amounts to 104.6%). If to compare the main indicators of road transport for 2007–2016, compared to the figures of 2007, the figures for the end of 2016 have increased by almost 1.7 times, and the passenger turnover has increased by 2.1 times, respectively. Cargo transportation rates by road is exactly the same. Compared with the figures of 2007, the figures for the end of 2016 increased by almost 1.97 times, and the cargo turnover increased by 1.98 times, respectively. The volume of road transportation of goods from agro-industrial and construction complexes increased. Of all transportation carried in all modes of transport in 2016, the contribution of road transport in passenger traffic amounted to 99.0%, passenger turnover amounted to 89.9%. Accordingly, the comparative contribution of road transport in terms of cargo carried and cargo turnover amounts to 91.9 and 39.5%. Favorable conditions are created in the country for development of market economy, market relations and a healthy competitive environment in the market of road transport services. Over the past 15 years, the number of functioning passenger transport routes has increased by 2347 and reached 4351. Of these, 997 are urban, 2743 are suburban and 611 are intercity routes. In 2016, 135 open tenders were held in the country and 2069 passenger routes were deployed. Of these, 38 tenders were held for placement of 510 urban routes, 91 tenders for placement of 1377 suburban and 134 intercity-intraregional routes, as well as 6 tenders were held for 48 intercity-intraregional routes. Activities in this direction continue. In 2016, 77 business entities on a leasing basis and through bank loans purchased 41 Isuzu buses in Andijan region, 84 in Tashkent region, 80 in the city of Tashkent, 10 in Samarkand, 4 in Navoi region, 138 in Namangan region, 53 in Bukhara region, 28 in Khorezm, 14 in the Republic of Karakalpakstan, 21 in Jizzakh region, 11 in Syrdarya region, 71 in Fergana region and 28 in Surkhandarya, 3 in Kashkadarya region, 585 Isuzu buses were purchased in total, manufactured by LLC Sam Auto. Along with this, in 2016, carriers purchased 584 trucks, 63 minibuses and 455 passenger cars (of which 184 are of Damas brand). A route transport network is being developed within the framework of implementation of forecast indicators for development of road transport services, improving the quality and level of road transport services provided to the population, in particular to the rural population. In order to improve the road infrastructure system, the government pays particular attention to further improvement of the system of implementation of investment projects involving funds from international financial institutions such as the Asian Development Bank (ADB), World Bank (WB), Islamic Development Bank (IDB), Saudi Fund Development Fund (SFD), Kuwait Fund for Arab Economic Development (KFAED) and others. — “Road assets management system”, implemented within the framework of “CAREC Corridor 2 Road Investment Program” with ADB participation.